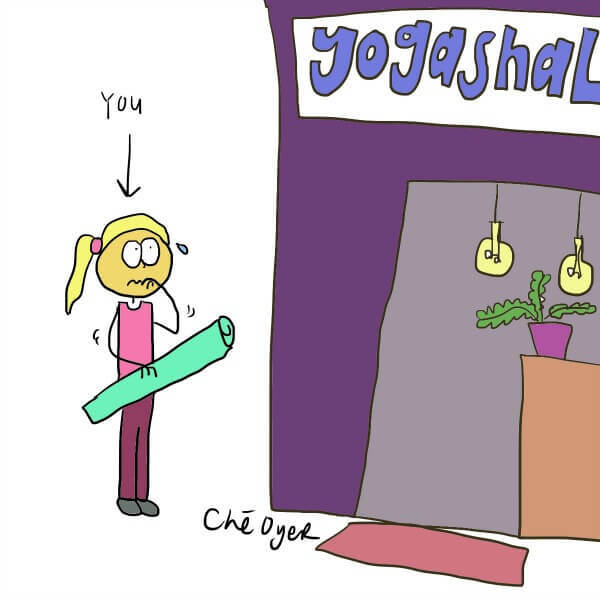 Walking into a new yoga studio can be, by far, one of the most intimidating experiences ever. Everyone else seems to know where to put their bags, and where to leave their shoes. You walk into the studio and it feels like everyone has their “spot” -- you definitely don’t want to put your mat in some regular’s “space,” but you also don’t want to be in the front! Panic sets in. What if this class is too advanced for you? Everyone in here seems so "professional!" What if you can’t do the poses? You probably haven’t worn the right “yogi clothes.” You should’ve just stayed at home! Oh good, now you’re sweating and the class hasn’t even started. 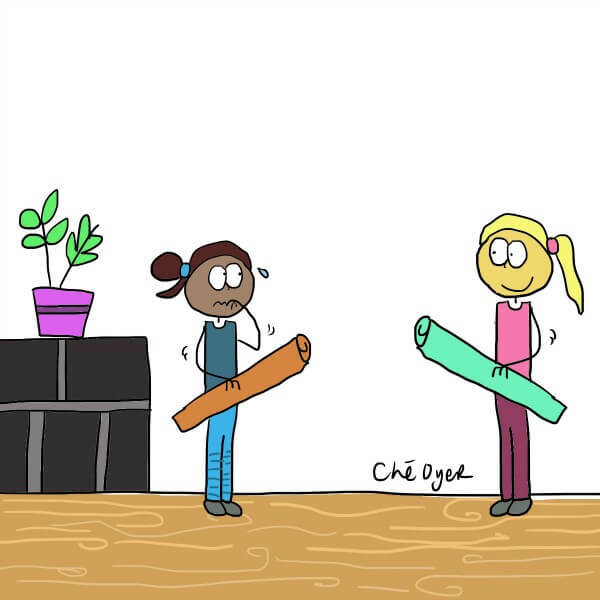 But here’s the thing, once you get on your mat and start to move, you bring your mind to the breath -- and realize in that moment of connection, that all those things don’t matter: the yoga pants, the poses, the place to put your mat. 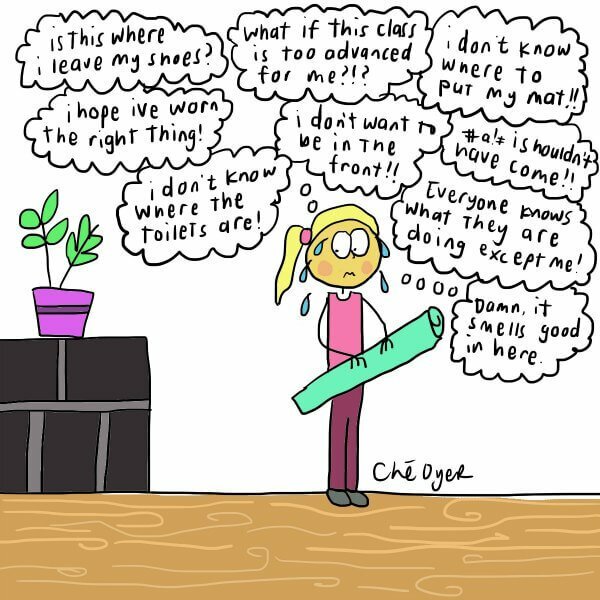 The thought that everyone is looking at you for not knowing where to put your shoes is completely absurd -- not only because those things are completely irrelevant, but because (more than likely), everyone else is too busy trying to deal with the thoughts in their own heads! 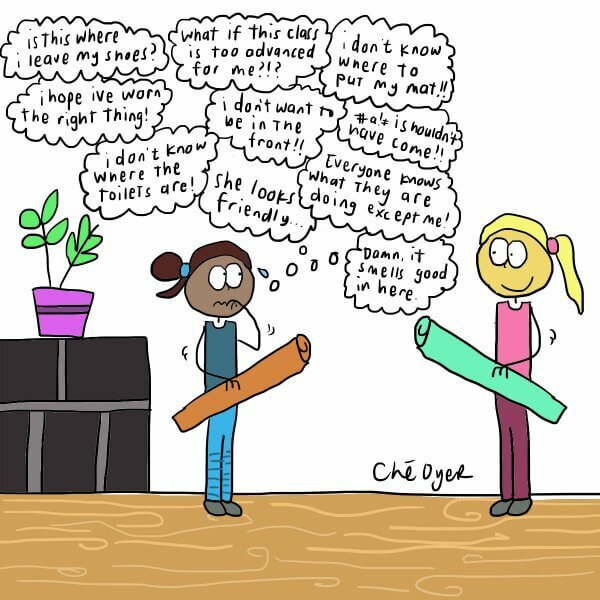 How did you cope with switching to a new yoga studio? Share your stories with us in the comments below!